Ensure that your staff have the right tools for the job with these metal safety knives. 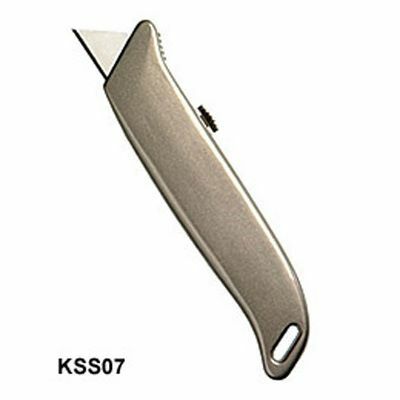 Small, neat and compact, these retractable knives are safe to use and economical. Changing blades is quick and easy, simply pull apart to expose the blade and replace. No mess, no fuss, no extra tools. However, you won't need to change blades very often. Ideal for use as cardboard box openers, slicing adhesive packaging tape and thick plastic, as well as cutters for plastic straps. 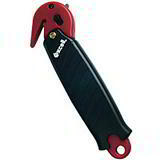 These metal retractable safety knives are practical, efficient and economical. 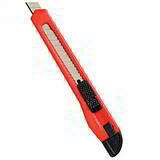 If you want maximum efficiency with minimum effort try the Maxisafe Safety Knife. 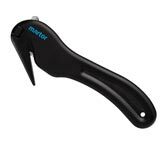 For a knife with automatic blade retract features have a look at our Martor Profi Safety Knives. For a tough and reliable strap cutter why not try ourRuck-Zuck Packaging Opener? When you need help from the sharpest tools in the box - call our Sales team on 01332 821200 and ask about our massive range of box cutters, carton openers and strap cutters!